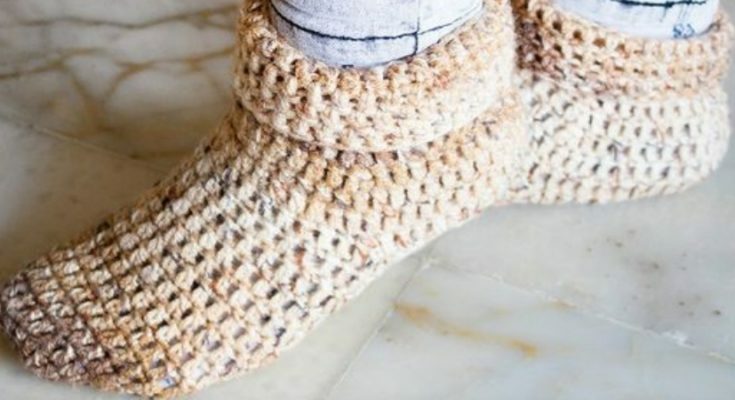 Have you ever seen slippers in the store and thought to yourself, “I could make those.” If you haven’t, well now you can – My Accessory Box has a free pattern available for a quick pair of slippers, crocheted using worsted weight yarn. You can choose any color, but if you want to use bulkier yarn, you will need to up your hook size accordingly. The pattern features three sizes of slipper, so pay attention to which size you need and add the requisite amount of stitches to each row. You may even want to write out the rounds with only the number of stitches you need so that you don’t mistake one size for the other when reading the pattern online. Though stitch markers may seem a little intimidating, they will help you keep the pattern straight in your head, so if you haven’t used them before, this would be a great pattern to use them on, since the project is small and you’ll be doing repetitive stitches. These stitches are common enough that every crocheter who has done more than crochet a chain will be able to make this pair of slippers. Once you get the hang of this pattern, you may want to keep it in your repertoire and whip it out every time the weather goes through a cold snap or the holidays come around. These paired with a good book and some hot cocoa mix would make the perfect present for friends, relatives, and colleagues. If you’d like to access the free pattern, you can do so at My Accessory Box. Be sure to check out their other free patterns, or if you’d rather have ad-free written instructions, you can purchase them for a small fee.